I couldn’t relax until the house was clean. I’m not like them, I thought, those that say that housekeeping is a waste of time. Only people who don’t mind living in their own mess say that. But I won’t. I can’t. Seeing clutter and dust and crumbs and dirt in my house drives me insane. I will sit when it’s all done. My response: “Huh?” I couldn’t believe that she was able to finish those things. Housekeeping was my ultimate goal and my crucible. It never ended for me. When I was a young mother, I’d put the kids down for a nap and put myself down on the kitchen floor with a bucket and a rag and I’d scrub. Or I’d do laundry. Or clean bathrooms. Or spot-treat the rugs. Every day was the same, every chore tackled as if I had something to prove by having the neighborhood’s shiniest toilet bowls. I beamed as people commented on how clean everything was, how good of a housekeeper I am. Over time the kids got older and their messes got bigger. My husband started to travel more for work. I developed close friendships and fell into days full of playdates and mom’s day outs, started to read more and volunteer at school. I didn't have time for all the housework, and let up on chasing the dirt. I took the advice of a kindly aunt and stopped cleaning bathrooms before and after weekend guests, just scrubbing them heartily after they left. Later, maybe I'd swipe surfaces with an antibacterial wipe after the last visitor went home. I gave up on hands-and-knees scrubbing and purchased a handy twist-mop to do the floor work. I handed my children each a dust rag and a can of pledge and told them to take care of their own rooms and to share the vacuum while they were at it. Drudging spring cleaning was forgotten, as were laments about window cleaning. Baseboard dusting went on an I’ll-do-it-when-I-see-it schedule. When we lifted the carpeting to make way for hardwoods, I was amazed at how unfilthy it was, despite never been professionally cleaned and after years of failing to get in the corners and under furniture with the vacuum - things I had worried about not doing more regularly. Our house isn’t really that dirty, I realized. I don’t need to be so crazy about it. I’m not entirely rehabilitated from years of extreme housekeeping. I still can’t abide a mess, and am constantly telling my family to “pick up your stuff.” But I have stopped doing it all. I’ll clean a half hour here and there, demand the occasional Saturday whole family cleaning extravaganza. If I spy a pile of dust, I sweep it away and move on instead of taking half a day to defeat the dust bunnies. After all, it’s a losing battle. They reproduce like… well, you know. People still come into my house and compliment me on my housekeeping. It’s nice of them, and I don’t let on that the bathrooms were just cleaned after a month of neglect. Or that the dust on the top of the fridge is a quarter inch thick. Or that the sheets on our beds needed changing a week or two ago. I just smile and say “thank you.” No one really cares about a sparkly house. But don’t be fooled. I’m still holding out for a housekeeper. Now THAT would be nice. I have to remind myself all the time that no one is going to stand over my grave talking about how clean I kept my house. That's not what I want my legacy to be. It's hard though. The dirt, the clutter, the messes, they all bother me so much. Yes, me too. No one really appreciates it. I work very hard at not worrying about it. I am much better about it these days, though. Yeah, I'm the only one here, too. I remind my family that I don't have super dirt-seeking powers, and that they have to own taking care of the house, too. It's an uphill battle for sure, but one day last week my husband got out the vacuum cleaner and swept the rugs ALL BY HIMSELF. Little victories. There's hope for you. :) There was for me. Seriously, if you enjoy it, it's not a problem at all. My problem is that I really started hating my house and being the only one who takes care of it. When I saw dust I'd just want to run away. I've never been a clean freak...housework drives me nuts, and I'm not good at it at all. I mean, we aren't talking about filth or anything...but nowhere near the level that I hear 'clean freaks' talk about. I would always be in a panic then every time anyone came over, because I hear of all the clean freaks out there, and figure they would judge me harshly. So for years I would just struggle, instead, with allowing anyone who wasn't in my inner most circle of friends inside my house. Then I started hearing people (especially parents of little kids) talk about how they felt more comfortable and at home in a house that wasn't pristinely kept...that was just comfortably 'cleaned up' and felt homey. That rang true with me. I feel very paranoid in super-clean houses, and even more paranoid about letting my children in those houses!! So I began to realize, it was okay to just live in 'reality' of family life and kid-zones, and started telling myself that MOST people's homes, on a day-to-day basis probably look about like mine. 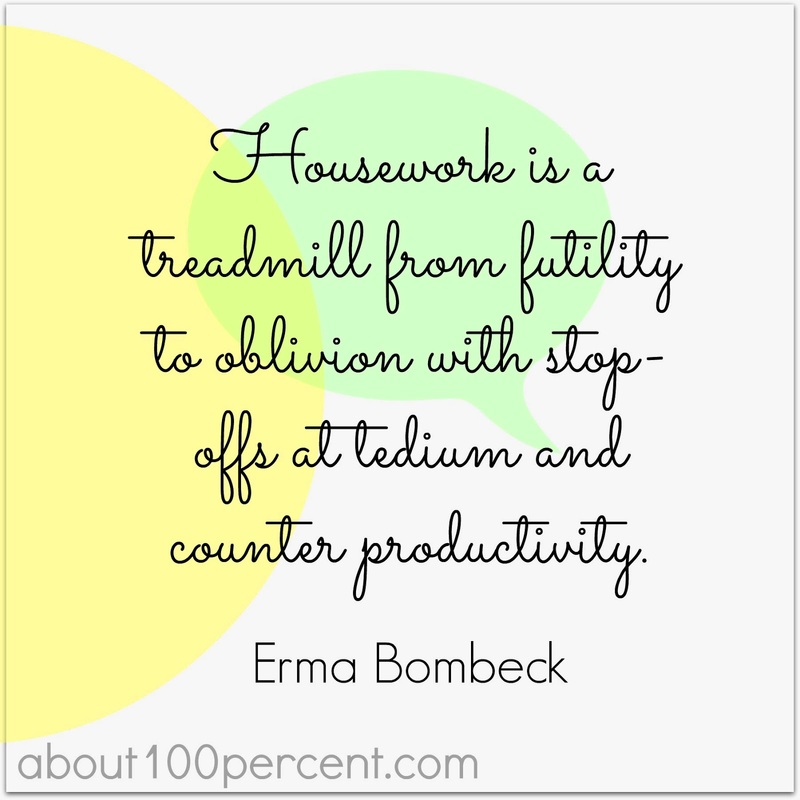 I am the opposite - we always had people over and I cleaned like a madwoman to get it just so before they came. 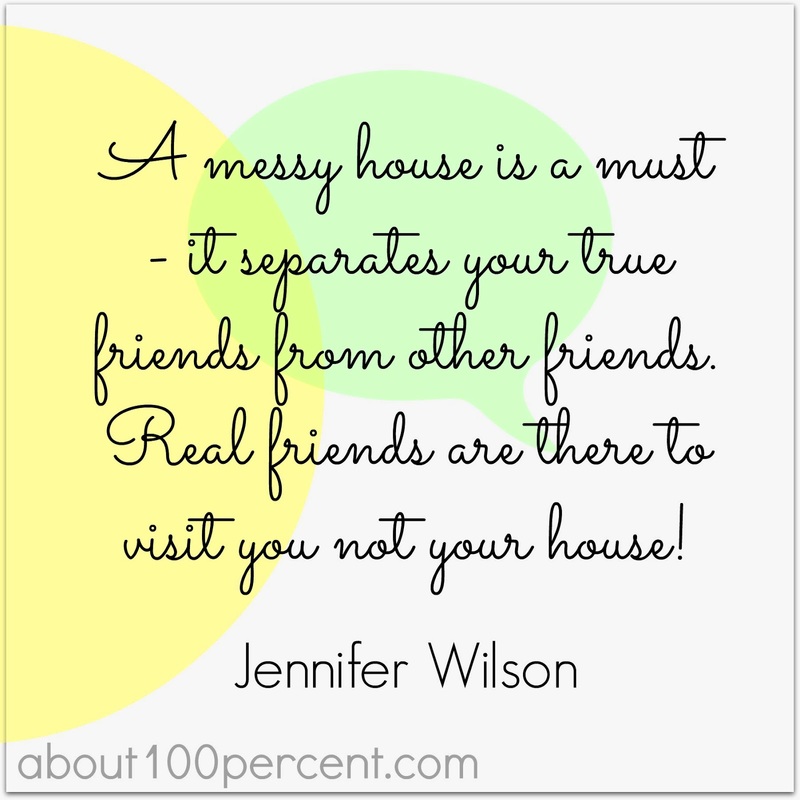 But then I realized that I didn't care at all if someone else's house was messy at all. Just mine. I have no idea if anyone is uncomfortable in my house just because it was clean - I'd hate to think that they are! I have relaxed about the cleaning a bit as well - in the land of forced air furnaces I would be dusting all day, every day... I think it's a very smart idea to hold out for a housekeeper - I used to have one on Germany and liked her better than my husband. Ha ha ha Kerstin! I love that last line. I think I would develop an inappropriate crush on anyone who takes the time to clean up my messes every week. For the most part, so long as no one is coming over, I can let most things slip - this is why we arrange for people to come over periodically to spur us into action! There is one thing, though, that I can't let wait: dirty dinner dishes. How can anyone sleep if they aren't put away, the pots and pans scrubbed, and the stove and counters cleaned?!?!?!?!? I can't let dirty dishes go, either. BUT I have learned not to worry about piling them in the sink if the dishwasher is filled as long as they are rinsed and ready to go. Provided that someone else does the emptying. I like your new approach. I used to feel guilty when I first became a stay-home mom that I didn't clean all the time. Thankfully my husband reminded me that I didn't quit working to become a maid - I quit working to be with our kids. Wow you are so lucky!! My husband has never given me any inkling that I was anything OTHER than a maid. I had to come up with that realization all by myself. Of course, he never stated that he expected high cleanliness standards from me, but he never tried to talk me out of them, either. Which is no difference to me. I'm a horrible, horrible housekeeper. Mostly because I don't have the time. But I think if I were a stay at home mom or housewife from the beginning? Then yeah. I would have to be reformed as well. Now I just put blinders on and ignore the mess. I was a better housekeeper when I had less time to do it - I waste so much more free time now. I think that's why I've lightened up a little - I already feel bad about the time I spend on silly things; why feel even worse that my house is a mess? I go through spurts. I always, always feel guilty when I'm NOT cleaning. I think it comes from before I stayed home, when I would basically spend one solid day cleaning, and the house was lick-my-floor clean. Now, it's clean, but it's done on rotation, so you need to be sure which floor you're having a picnic on, you know? Oh, how I get that. Our house is rarely clean all at the same time. Of course, I hold all the information in my head about just which parts are cleaner than others. For instance, you're probably okay to eat off the kitchen floor this week. Not so much the upstairs, anywhere. My mom was (is) a clean freak. I was one too...and then I had kids. Today, as I write this, we have a snow day. I have no school work to do, Charlie is napping, and Eddie is playing Mario. The floor has crumbs and ALL the toys are out. Yes, I am surprised by this. My mom and I are similar with our cleanliness standards, but we always had a cleaning lady. My mom made us clean up - before the cleaning lady came over. I would do the exact same thing. If I had one. I think I need to prove it to everyone. I love this so much -- it's one example of the letting go we're all forced into in motherhood. You captured it beautifully, and I'm so in for a housekeeper! Forced to let go - I like that. It's so much better than saying forced to clean. I am a neat freak, type a personality and have to have a clean house, but I am getting better. Honestly. Some days, it's just more fun to play and let all the housework pile up. Thank you for this. Truly. 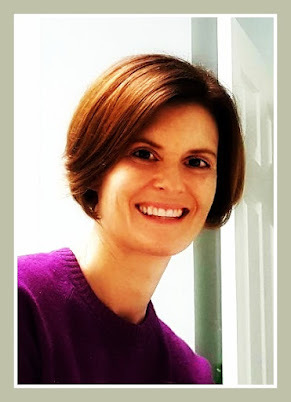 Have you read the Humphrey books, by Sally Hunter? I have reviewed several of them in my Book Corner at my blog. They are SUCH a comfort - truly romanticizing the mess of young childhood and the patient cleaning among the fun that the parents do. I love these books so much. The illustrations capture the essence - at its best- of toddler toys and crumbs. Get Humphrey's Corner if you don't already have it! Oh I have relaxed on this so much. I'm happier for it - but it drives my mother and my mother-in-law crazy...so maybe they don't visit as often...WIN/WIN! I never know what to think when a friend comes over and says my house is so clean. It makes me think that she's surprised because she's seen it on the days when it wasn't. You know, the days when someone drops by unexpectedly and there's toys everywhere and a used, rolled up diaper on the floor. And of course when I'm expecting them, I cleaned like hell before they got there. Of course! I never comment on the state of a person's house. Mostly because my reaction is similar to yours - just what are they saying? Are they surprised because I'm usually so clean/such a slob? I feel the same way when people tell me I look nice. What? Do I usually look like a troll?